Ukrainian President Petro Poroshenko says that Ukraine's membership of the European Union and NATO remains the country's strategic goal, but it is not a prospect of 2018, according to an op-ed published in the "The World in 2018" special edition of the Ukrainian weekly Novoe Vremya and The Economist. "Membership of the EU and accession to NATO certainly remain our strategic goals. As this is unlikely a prospect of 2018 and as the Bible says that 'about that day or hour no one knows,' I will only say I am convinced it is realistic," the president said in the op-ed. 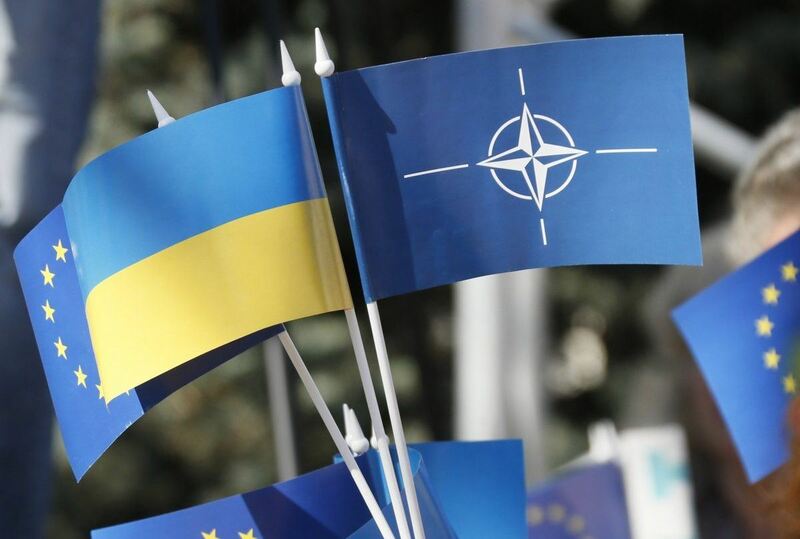 Read alsoUkraine should strive for pan-European defense forces, not NATO - KwasniewskiPoroshenko assured that in 2018 the country would continue to develop steadily. "Serious investors will come to Ukraine. Merged territorial communities will reap more and more generous fruits of decentralization. The revamped courts will issue first verdicts against high-ranking corrupt officials. You will see even more repaired roads, modernized rural health posts as part of rural health care development, and new weapons for the army. Having fed and provided the army with gear, we can afford to use a fifth of the military budget for armament and military equipment. The spending of the Armed Forces alone has been increased by another 25%, to UAH 86 billion [US$3.1 billion]," the president said. As UNIAN reported, European Commissioner for European Neighborhood Policy and Enlargement Negotiations Johannes Hahn says that it is premature to talk about Ukraine's membership of the European Union in the coming years.